Get 10% off at JJ's Plumbing Y2K offers residential and commercial plumbing for both old and new construction! 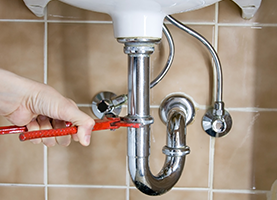 Plumbing issues can cause major problems for your home or business if they are not taken care of in a timely manner. The possibility of major leaks and flooding can be both dangerous and costly. Fortunately, JJ's Plumbing Y2K has the ability to provide prompt, affordable, and reliable plumbing services to all residential and commercial clients in Winston-Salem, NC and the surrounding areas. 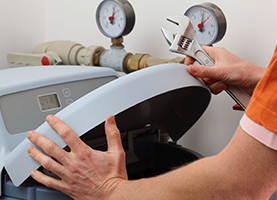 The main services that I offer revolve around water line repair and water heater repair. 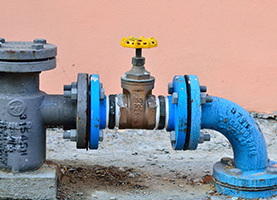 My water line repair services include the ability to perform water pipe repair, drain line repair, and pipe replacement. My water heater repair services include the ability to perform both repair and replacement services for both hot water heaters and tankless water heaters. While I specialize in water line and water heater repair, I also have a great deal of experience helping homeowners, business owners, and contractors with their fixture installation and remodeling needs. From working with well pumps and kitchen sinks to garbage disposals and shower faucets, I have the experience and expertise necessary to do it all. The value that I provide has been a major reason for my long-term success here at JJ's Plumbing Y2K. I emphasize quality and affordability as the two most important parts of my business and am confident that the value I provide will meet or exceed your every expectation. I encourage you to get in touch with me if you have any questions about my plumbing services or are in need of immediate servicing. I offer the convenience of being available around the clock for emergency and same day service. I look forward to hearing from you and showing you why dozens of clients trust me for their plumbing needs! At JJ's Plumbing Y2K, I pride myself on providing affordable and professional plumbing!